Some strains of the Cannabis Sativa plant are high in fiber and seed and contain negligible amounts of THC, the psychoactive component that creates the stoned effects in the people who use it. These strains are used for very wide range of products and are known as Hemp. Hemp fiber is likely the first thing people think of when they hear the word hemp. It is associated mostly with rope and canvas. Because of it’s highly durable fibers it was used for centuries. Today, the use of these fibers is not as popular as it was centuries ago, mainly because of negative propaganda and possibly the cotton gin. Hemp’s impact, however, was tremendous. Once processed and finished it has great textures and delightful characteristics for creating linens and textiles. Even the name canvas has been derived from the word Cannabis. But sadly due to a few ignorant people this industry was nearly eradicated. Fortunately for us it still exists but is a far cry from where it should be. That is why everyone should make a conscious effort to incorporate it into as many aspects of their daily lives as possible. There are many composite materials that can be obtained from this plant. Such as bio-plastics, this is a material that is produced from the oil pressed from the hemp seed. Obviously, this kind of material differs from the usual sources for plastic, notably petroleum and fossil-fuels. This eco-friendly source is virtually unlimited and completely renewable and significantly more environmentally friendly. Fiberglass can also be created using the fibrous part of this wonder weed along with poly resin and hardener. The result is a material that is cheap and resistant, has a beautiful appearance, is very versatile and can be (or could be) locally grown. It has been very successful in the car industry. Henry Ford’s first cars ran off hemp gasoline and had hemp panels that had an impact strength ten times stronger than steel. He also operated 40,000 vehicles off of hemp fuel from only 10,000 acres of this fabulous plant. And the exhaust from these autos was carbon dioxide the very same thing we as people breath out. Automobile manufacturers who have incorporated this resource into their cars include Ford, GM, Chrysler, Audi, Honda, BMW, Mercedes, Mitsubishi, Porsche, Volkswagen, Saturn, Lotus, Iveco and Volvo. Some models of cars incorporate up to 20 kg of this hemp composite material or bio-plastic in the structures of the cars themselves. Also in 1941 Henry Ford built a car that ran off of hemp fuel and had a completely plastic body constructed from this overly useful plant. Historically, these fibers had also been used to make paper, quite successfully, at least before other alternatives became available. Historians and archeologists can establish with certainty that paper made this way was being produced and used in China at least 200 years before the invention of regular paper. That means hemp paper was the earliest version of paper and was being created 2200 years ago at the very least. They know this because they have many samples of wrapping paper made from the cannabis fibers, the texture of which was very coarse, and not very suitable for writing. In more recent times, this paper was being produced in Russia. During the early 1800s all sorts of documents were being made: bills, bank notes, stamps, stocks, contracts, and many more legal and financial documents. All the way up to 1883 three-quarters of all the world’s paper was crafted from this product. Even the War of 1812 was battled out over this ecologically versatile plant. A hundred years later, in 1916, scientists from the United States Department of Agriculture, created some of this paper. As part of a test to compare the features and possible advantages of hemp paper over regular wood pulp paper. The results they reported were encouraging and positive; however, future experiments and tests could not replicate their results and differed in their final opinions. More recent research has shown some of the problems and disadvantages of paper making. Typical wood pulp paper contains rather large amounts of lignin, which is an undesirable chemical that must be removed when creating paper. Hemp contains only minuscule amounts of lignin when compared to ordinary wood pulp paper, so this offers the advantage of simplifying the process, cutting costs and saving time. And would reduce the amount of toxic chemicals in the processing and rendering of the wood pulp. Still, because plain wood pulp paper is cheaper to produce (producing regular wood pulp paper is six times less expensive than producing hemp paper). Many of the paper mill owners complain that they need a product that can be harvested year round. And also that it would be too expensive to retool they’re mills to accommodate this plant they like to call impractical. Wood generated paper can only be recycled four to five times as where the hemp-based paper can be efficiently recycled twice that amount. Paper made from hemp is produced in relatively small quantities around the world like England, The Czech Republic, Slovenia, China, France, Holland, Germany, as well as some other countries. And also for some niche applications, for example, the paper used for rolling cigarettes. Bio-fuels can be very broadly defined as any fuel that is produced or derived directly from any living organism, such as plants, bacteria or processing of organic waste (manure and such). In the case of hemp, the seeds and stalks of the plants contain oils that are fermented and processed to create bio-diesel, also known as “hempoline”. Also after the seeds have been pressed and filtered the oil extracted from this plant can be used to fuel any diesel engine. Traditionally and throughout history the seeds from this plant have also been used as a terrific source of food by many cultures. 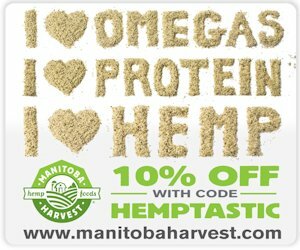 One of the most popular ways these seeds are being used today is by making hemp milk, which is very similar to almond milk, its texture being creamy and nutty. You just blend one cup of the hulled seed with three cups of water a dash of salt along with a dab of an organic sweetener until smooth. It is probably the best alternative for anyone with nut allergies or lactose intolerance. It is becoming very popular because of it’s nutritive nature. It contains the most balanced omega fatty acid ratios of any plant known. It also provides magnesium, vitamin C, iron, calcium, fiber, potassium, vitamin B, phosphorus and ten essential amino acids; among many other essential nutrients. It is also a top of the line protein source and has become very popular among vegans. by Healthy Monger with 1 comment.